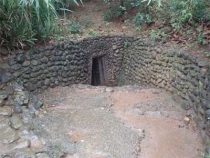 Vinh Moc tunnel is accurately a miniaturized image of a deep underground village, it has become both a historical evidence and a tourist destination for discovering Vietnam’s history. 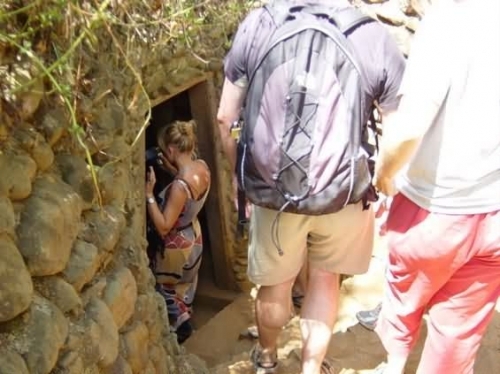 To get an interesting adventure, the foremost suggestion is Vinh Moc Tunnel. Hien Luong & Dakrong Bridges. 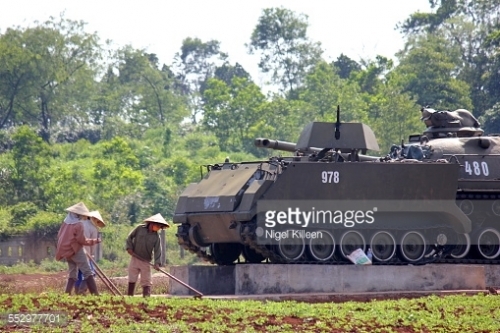 Doc Mieu & Khe Sanh Combat Bases. We begin DMZ - Vinh Moc Tunnels 1 Day Tour at 06:00am we will pick you up at your hotel and transfer to Dong Ha Town - Quang Tri. Then you will have free breakfast there about 30 minutes. Then we head out to the Khe Sanh Marine Base. We will visit “a big rock” the Rock pile. Our guide will explain that it is an important and strategic lookout post during the war. We stop for taking pictures. Our next stop: the Ho Chi Minh Trail. We will stop at the entrance to a bridge on the water. We will take pictures of the bridge. We can walk across the bridge to look at the macadam road where the Ho Chi Minh Trail used to be. After that, back on the bus or private transport. At about 11:00am we arrive at the former site of the US base at Khe Sanh. On exhibition is a crashed airplane, two crashed helicopters, a collection of heavy artillery shells, a big gun, and a bunker. 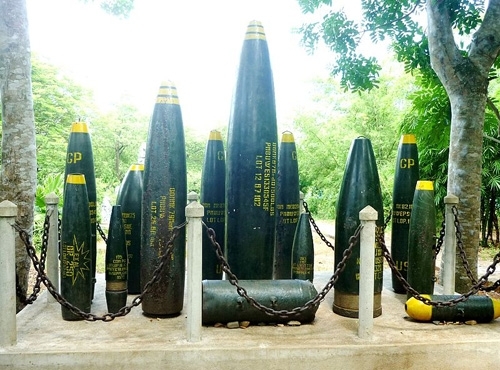 At this small museum, emphasizing how the Americans fled in panic from Khe Sanh, some small artifacts left behind by American and Vietnamese soldiers and some recovered weaponry. There is also the tribal peoples' contribution to the effort, ferry modern weaponry and supplies to needy troops on the front lines, using ancient technologies like thatch bamboo baskets, and defending themselves with bows and arrows. 12:30pm: We have lunch at Dong Ha town. 13.00pm: We depart for Vinh Moc Tunnels. On the way, we crossed the Ben Hai River. The river is important because it is the dividing line between north and South Vietnam. But now, it's just a river. There is a memorial to the war. And then back on the bus or private transport to Vinh Moc Tunnels. 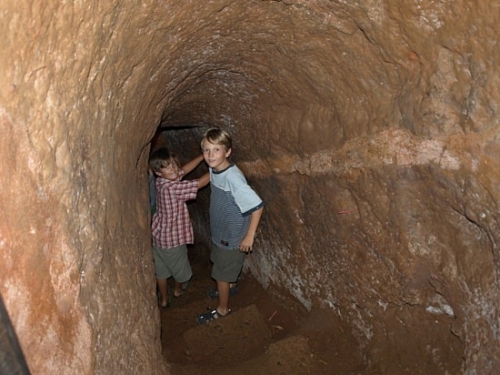 The Vinh Moc Tunnels are an amazing achievement of human toil and engineering. 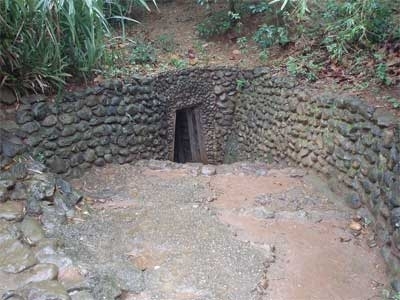 The Vietnamese had constructed the tunnels to provide shelter from regular bombings by American planes. During the war, people lived in here, men and women fell in love, got married, and had babies here, children were educated in the dark narrow passageways, and wounded soldiers were cared for and nurtured back to health. Looking at the tunnels, it was easy to understand why this small, beleaguered nation could take on the greatest military power on the planet and win. 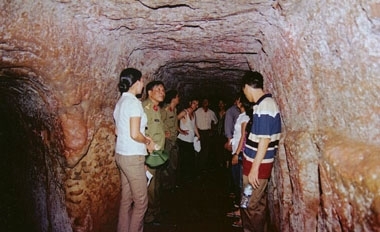 4:00pm: End DMZ - Vinh Moc Tunnels 1 Day Tour and back Hue city about 6:00pm. Please provide name of hotel/resort and hotel/resort address in Hue City, Vietnam where we can be free pick-up. Central area of Hue City.